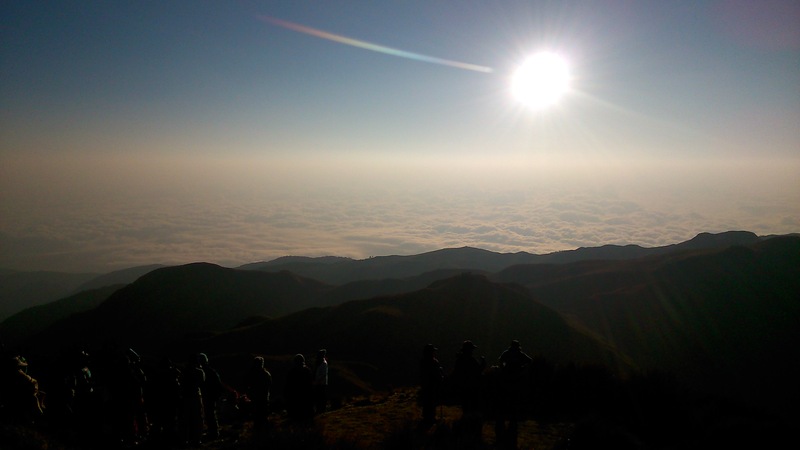 I climbed Mount Pulag in Benguet to make a decision. I was heartbroken. Like ice cold water running down my spine, the news struck me. The person I love will reject me. It was third hand information but the warning came from a friend. My heart skipped a beat. I was working in the newsroom then but my thoughts were miles away already. I had a feeling the guy would reject me, even though I haven’t pursued my feelings for him yet. Heck, I haven’t even admitted anything to him. But I think nobody will ever be prepared for rejection. Anticipated rejection means anticipated heartbreak. And it will still hurt. It will defy time. I will still feel the sting long before the heartbreak happens and long after it happened. So I had to sort my feelings. And the highest peak of Luzon seemed like the perfect retreat. Will I risk rejection and tell him how I feel? Or should I just call it for what it is? Maybe Mother Clarity is in the summit to give me a wake-up call. Dri-fit clothes dispense sweat quickly. 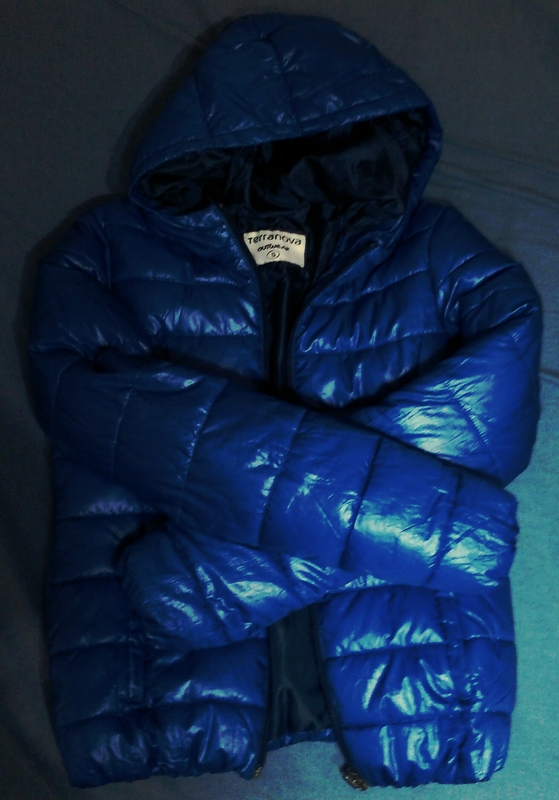 This makes the material perfect for climbing cold regions like Mt. Pulag. Regular shirts, on the other hand, absorb sweat. This will make you feel colder and will make your climb more unbearable. 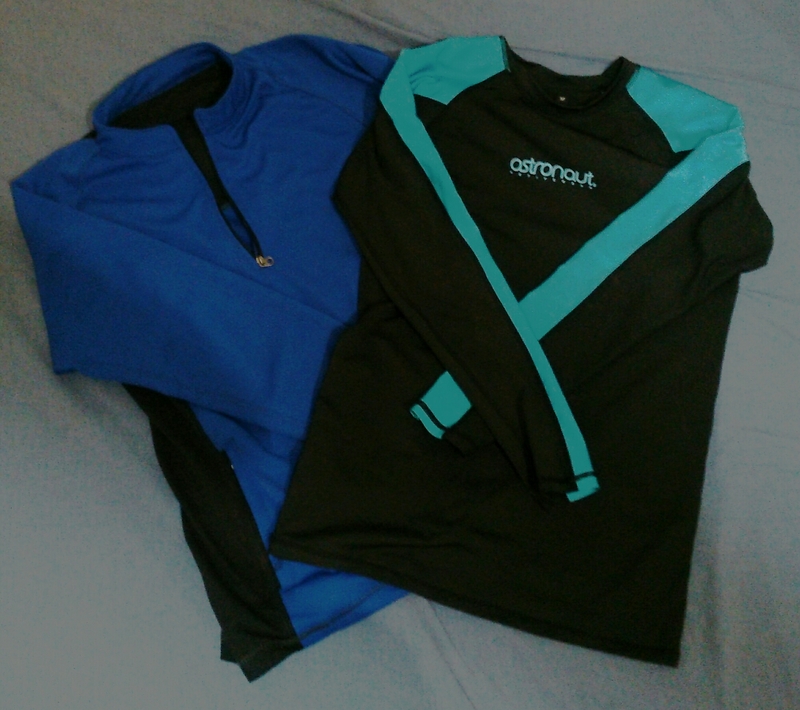 I bought mine for less than P 700 each at Basekamp. TIP: Pack at least two, so you can have a change of clothes when you’re already at the camp. A sweaty shirt, even if it’s dri-fit, will only hamper your assault and make you sick. The weather in Pulag is crazy especially in the summit. It’s best to keep yourself dry at all time. 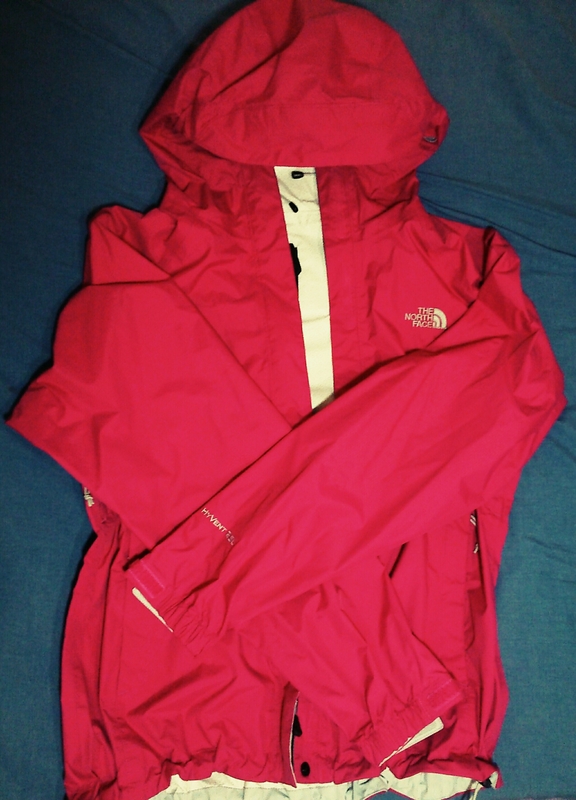 I got mine for less than P 5,000 from The North Face. TIP: If you’re getting a raincoat, it’s advisable to buy the poncho-styled one which is easier to wear during an emergency. It can also cover your bag so it won’t get wet. An alternative to this is the garbage bag. You can alter it so it fits you. You can even make a bag cover out of it. Cover your clothes with a garbage bag before putting them in your bag. That way, they won’t get wet because of the mist. Wear this only when it gets really cold to avoid unnecessary sweating. It might also slow you down because of its weight. I bought mine a long time ago for P 500 from Terranova. It was a marked down item at the store. TIP: Some weatherproof jackets have both waterproofing and warming layers. Although they are way more expensive, they can help you save some space in your bag. The terrain in Mt. Pulag is rough and inconsistent. Your shoes should be reliable. Choose a pair that isn’t slippery and has good traction. They must be lightweight too. Finally, if not totally waterproof, make sure your shoes dry fast. Heavy, muddy, watery shoes will be quite a burden. 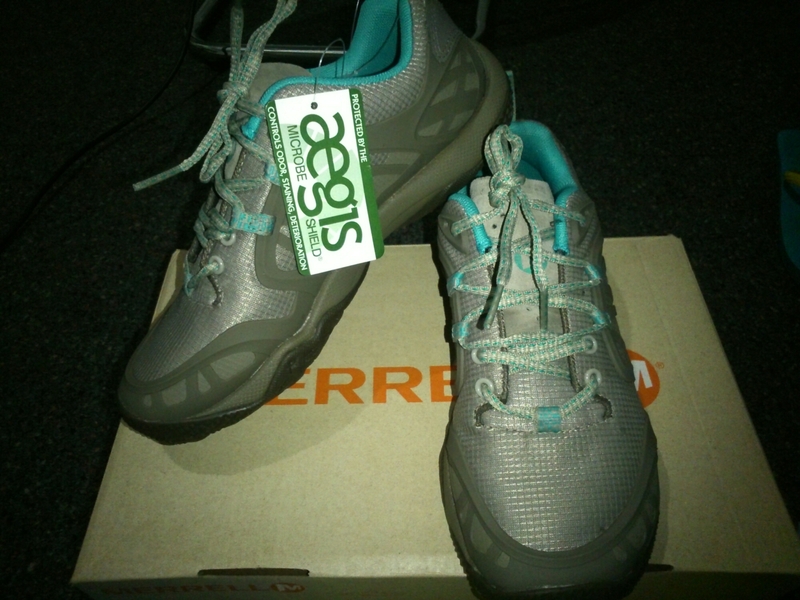 I got mine at a little over P 4,000 from Merrel. TIP: It’s best to test run your shoes weeks before the climb so you’ll get used to them right away. The material must be water repellant and easy to dry. In case you get wet, the weight of the water won’t impede your hike. 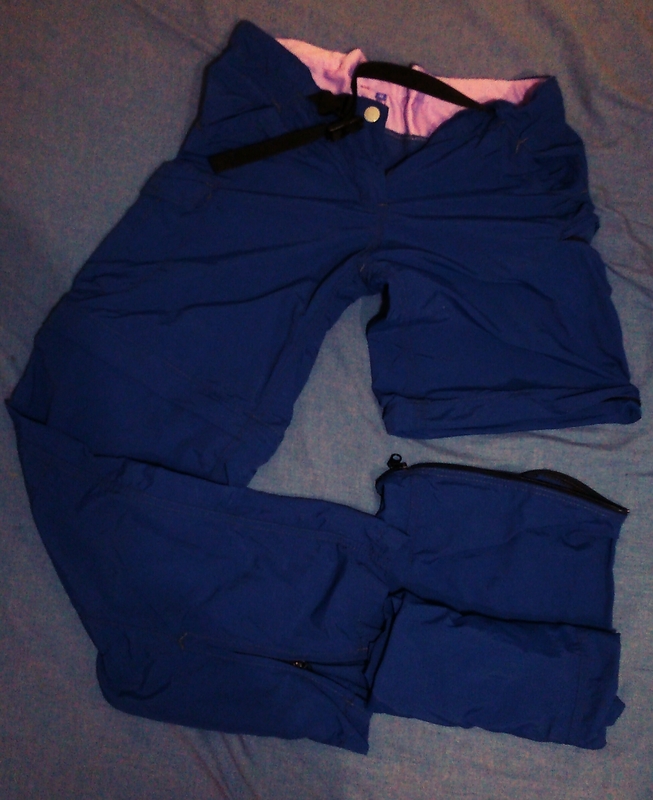 I bought my Lagalag pants at Basekamp for around P 1,300. TIP: 2-in-1 pants/ shorts are very functional. You can readily remove the lower part of the pants if it’s too hot, then zip them back when it gets cold. You don’t really have to go for thick ones. You’ll be compelled to wear your cold weather gears the night before the assault, anyway. I bought mine from Coleman for around P1,300. It worked well during cold weather. TIP: The emergency blanket, which looks like a huge foil, will also help keep you warm. I bought mine at P90 from Coleman. Needless to say, they’re meant to keep you warm. In choosing your gloves, it is best that they are made of materials that won’t make you sweat easily. Also, choose one which can still be used in touch screen phones so you won’t have to remove your gloves when using your phone. TIP: You can always borrow if possible. These are the only basic items I didn’t buy because most people have them. Ask friends who have gone abroad. Layer your socks as necessary. Also, change them as soon as you get sweaty. It’s difficult to climb with cold feet. You can buy three-piece sets at P200 or less. TIP: Check the garter of your socks before buying them. Some can be too tight especially when you layer them up, that your blood circulation will be hampered and your feet will get cold easily. I got pins and needles while climbing because of tight socks. The climb is long and tedious and you must hydrate as often as necessary. You won’t find drinkable water in Mt. 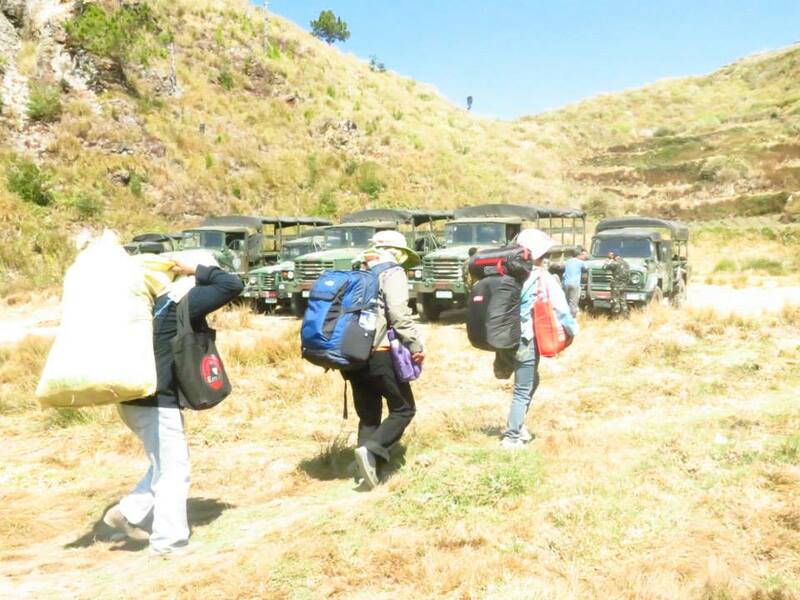 Pulag, save for the hard water from a spring to which some people are not accustomed to. Bring snacks that are easy to eat and will boost your energy as you climb. TIP: Individually wrapped snacks are less messy. You should not litter the trail. Mt. Pulag has latrines for restroom. These are dug up holes where everything goes. There is no running water so you have to bring wet wipes to keep yourself clean. 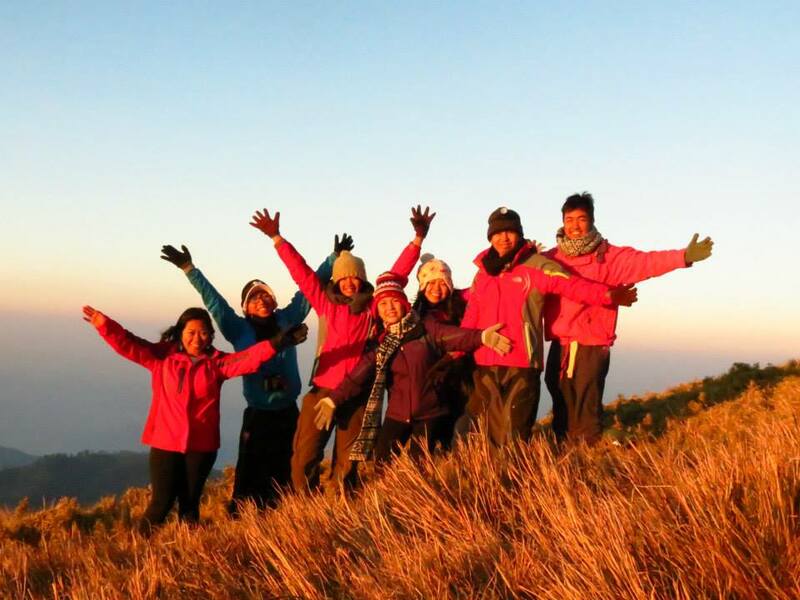 TIP: For neophyte Pulag climbers like me, it was a relief that I chose to book a travel package. 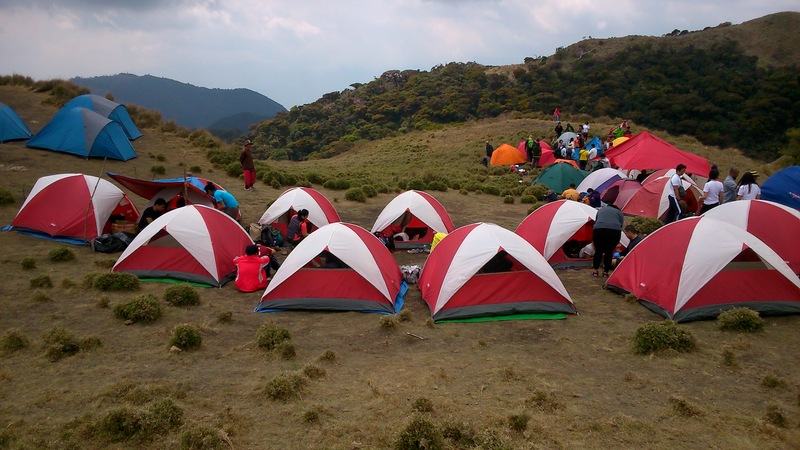 Ours included transportation, environmental fees, tent accommodation and food. Less hassle, more musings on the climb itself. We booked ours at Travel Factor. I never thought making a decision should be this expensive. But remember, this is an investment, especially if you intend to climb more mountains in the future — like Jervis who conquered Mt. Pico de Loro in Cavite after Pulag. When I bought my gears, I also made sure that I can use them for purposes other than climbing. My base layer doubles as a rash guard for water sports. I use my hiking shoes for running. If you’re in the Philippines, you can always check local brands. They offer cheaper items without compromising quality. I went to Mt. Pulag with my newsroom friends, the guys behind the SubSelfie.com Blog. At 10AM, we were already in the Ranger Station, gearing up for the climb via the Ambangeg trail. I decided to hire a porter to carry my things because of medical reasons. These porters are men and women of all ages, some already fit for senior citizenship, lining up to carry things at P500 for 15kilos, back and forth. They have very few protective gears unlike us, but they move quicker. It’s not everyday that they get a lot of customers in Pulag, so they make the most of every summer. So much for having a job that requires you to carry other people’s baggages. My first few hundred meters were the toughest. My breathing turned abnormal. I was only carrying my food bag, but I could feel the pull of gravity more than ever. A sharp pain in the chest accompanied the change in altitude. While I struggle with my every step, the porters breezed through the trails. I jogged two weeks prior to Pulag in order to strengthen my legs, lungs and heart. I trained myself by taking the stairs instead of the elevator whenever I was at work. I would always cover all 17 floors of the GMA Network Center. All of these preparations were still not enough. My body was giving up on me during the trek. Then I remembered the sea of clouds I saw from a local documentary. There was no way I would let myself miss those giant cotton candies. So I let my mind wander. I thought about why I badly wanted to climb Mt. Pulag. I thought about that cold shower feeling, how my judgment deceived me, and mostly how I deceived myself thinking reciprocation didn’t matter to me. Before I knew it, we were already at Camp 2. Hooray, stage one completed. Achievement unlocked! A loud howling noise woke us past 4AM. The wind was battering our tents. 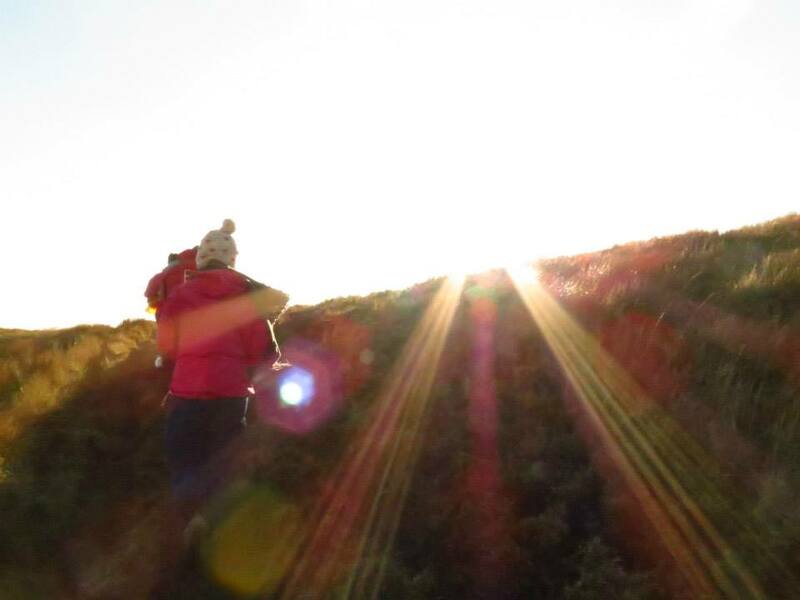 It was the messenger from the gods of Pulag’s summit. They were inviting us to meet them at the top. Half awake and with hazy vision, we started our assualt. The trail was narrow, we had to trek in a single file. We had head lamps but we walked as if we were blindfolded. We had to feel the ground with our feet. Our steps were small and precise. Our hands searched for the boulders so we could avoid them. 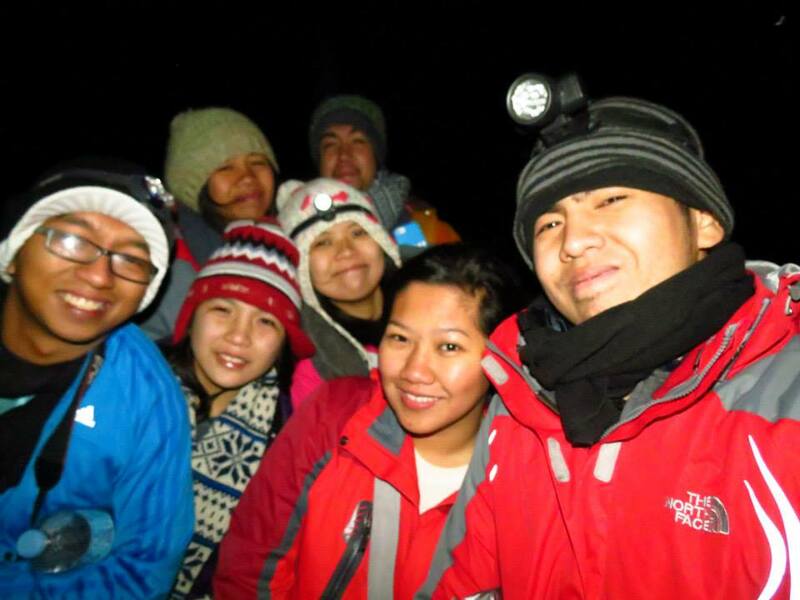 Slowly, the cold wind of Pulag asserted its supremacy. I was under five layers of clothing and was feeling heavy. The cold teamed up with the increasing altitude and suddenly, the sharp chest pain I had earlier was back. But I was already close to the summit. I pushed myself farther and farther until I couldn’t feel my legs anymore. I knew I was in pain but I was very eager to be bigger than the pain I was feeling. Mother Clarity must be waiting at the top for me. I knew she didn’t like waiting. Who likes waiting, anyway? My feet touched the base of yet another rocky, grassy surface. It was the last elevated surface I could touch. I reached the summit. There was only silence for me 2,922 meters above sea level. After a month of preparation, I felt empty at the summit. There were neither trumpets nor harps. Not even Mother Clarity was there. No answers either. I was there, flesh freezing in the cold, heart still beating, bold, but already growing old. Thoughts littered my mind that moment. I realized it was ridiculous to climb Mt. Pulag because I needed answers for my decision. It was silly, actually. The mountain will not redeem me from impending rejection. My battle with the cold was apparently for nothing. I stood there, waiting for the sunrise. The sun was such a tease. He peeked through the clouds really early yet he did not come out until more than an hour later. Little did I know that I was in for a surprise. When the sun came out, I was overwhelmed by his light — the way villains lie in defeat when superheroes overwhelm them. The sun was the superhero that saved my climb. As he spread his rays, all creatures were alive again. The sea of clouds were in sight, finally. There were no words for it. I was so overwhelmed by the beauty that surrounded me. I couldn’t move. There I stood, a speck on the earth basking in God’s awesomeness. I never made a decision. My burden never left me even as the wind of the summit blew on my face. There were more questions than answers. I still don’t know what to do with him. My life is not a movie. I climbed a mountain expecting to find the remedy for my broken heart. It wasn’t there. But I went home with something else. I learned to love myself more. It was all right. Who knows? I may find Mother Clarity in Mount Apo. @khloe: Yes, 2,922 kilometers above sea level. It’s the highest peak in Luzon. You mean, 2922 meters above sea level, right? I also climbed Mt.Pulag last year, March 15-16 to be exact, with my 2 dearest friends. Until now, I still can’t move on with the whole Pulag experience. It made me realized a lot of things in life. I was very priviledged also to witness God’s grandiose creation. Truly Cordillera is very much blessed with nature’s wonders. 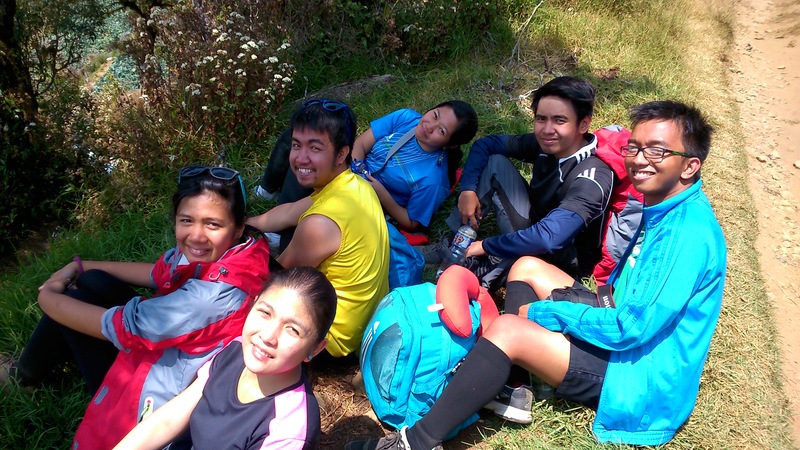 Can’t get enough of Pulag, I took Pico De Loro’s monolith challenge last October then Mount Daguldol on November. What a year it was for me. I never thought before na KAYA KO PALA!